For three years now, this website has continued to focus on the younger generation of footballers, often over-looked by mainstream media. 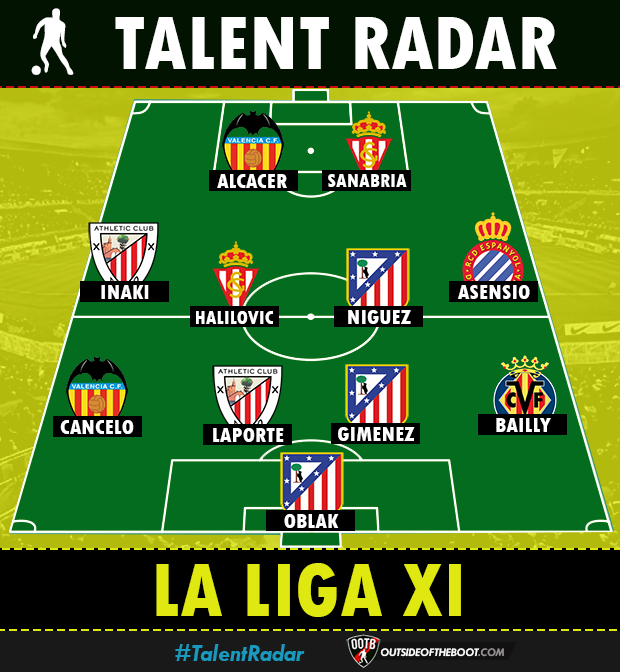 For three years we’ve also published a Talent Radar Team of the Season across Europe’s top six leagues, having monitored these players in our Team of the Week and Player Rankings feature. 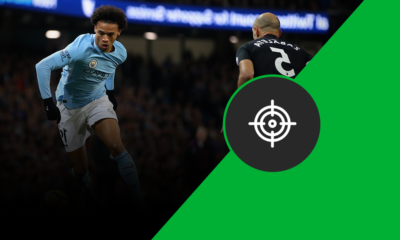 You can read this for all details on Talent Radar, who is eligible under it and what else we publish within this feature. 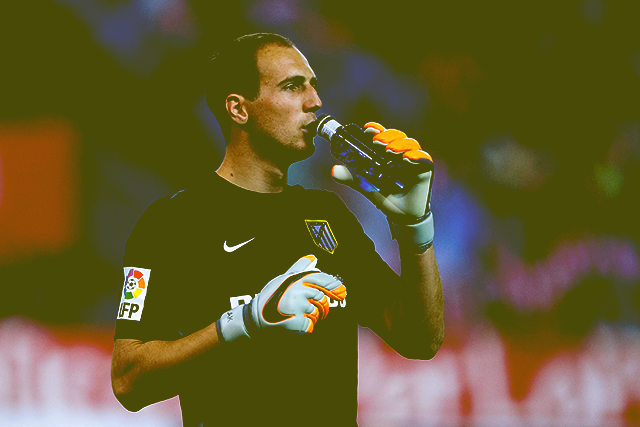 Jan Oblak // Atletico Madrid // 22 // Goalkeeper: Oblak is, undoubtedly the man to feature on this team as the goalkeeper. Over the course of this season, the young keeper has evolved into one of the best shot stoppers in Europe. Atletico Madrid have had yet another impressive campaign built on the back of a strong defence, and Oblak is at its heart. He recently went 601 minutes without conceding, and this featured shutouts against opponents like Barcelona and Bayern Munich as well. He’s performed in the pressure games, and in the big moments as well. Eric Bailly // Villareal // 22 // Center Back: Eric Bailly has been almost ever present in this impressive Villareal campaign. The Yellow Submarine will participate in the Champions League next season, and in a campaign built on relatively few resources. Bailly has made 24 appearances. The versatile Ivory Coast international has shown that he can fill in across the back 4. Bailly has been especially praised for his tough defensive abilities, recording almost 2 interceptions and tackles per game on average. Jose Gimenez // Atletico Madrid // 21 // Center Back: This has been a sort of a learning season for the young Uruguayan center back. He’s been given opportunities to shine, and has displayed his obvious talent, and learned some of the tough lessons of defending along the way. While he does show terrific anticipation, and great aerial and one on one defensive ability, Gimenez has often gotten too aggressive and made mistakes which have proved to be costly. He’s also faced some tough competition for his place from Stefan Savic, and this will only serve to toughen him up for the seasons that lie ahead. Aymeric Laporte // Athletic Bilbao // 21 // Center Back: Laporte has long been one of the better young defenders in Liga, breaking through at Athletic a couple of seasons ago. He really established himself under Bielsa, and now is looked at as a responsible figure within the team. The stylish 21-year-old defender has consistently been linked with a move away from the Basque club as we’ve seen regularly in daily updated football news, and it looks like some of the Champions League giants may just make their move for him this summer. Laporte possesses excellent game reading skills, and is a silky smooth passer of the ball, making him a good fit for most European teams. Joao Cancelo // Valencia // 21 // Right Back: It has been a tough season for Los Che, as they are struggling in mid-table. They had a short and nightmarish stint with Gary Neville, but seem to have recovered adequately for now. One of the few bright sparks seems to be Cancelo. The young Portugese right sided player has made quite an impression. He’s been firm in defence, and a good outlet going forward as well, picking up 4 assists during the course of the season. He’s mostly been utilized in defence, where he’s been very effective, especially going backwards. Marco Asensio // Espanyol (On loan from Real Madrid) // 20 // Right Midfielder: It has been a tough season for Espanyol, as the Catalan club sit in 15th place, and a lower mid table finish. The best player in a tough season has been the youngster, Asensio. Capable of playing across the forward line, Asensio has served as the main source of attacking threat for his side. 9 assists over the course of the season, and excellent set piece delivery are a major reason for Asensio being dangerous. Saul Niguez // Atletico Madrid // 21 // Central Midfielder: Saul has been a part of the Atletico team since last season, featuring heavily and contributing to their successes. This season though, he’s emerged as a key player for Los Rojiblancos, partnering well with the likes of Griezmann and Torres. Saul has proven to be a more than adequate replacement for Arda Turan, taking on the Barcelona man’s role in the team. He also heavily contributed in their Champions League run, with a stunning and decisive solo effort against Bayern Munich at the Calderon. Importantly, he’s shown the requisite tenacity to be a part of Simeone’s side. Averaging 3 tackles a game, Saul is not shy of doing the dirty work to get the job done. Alen Halilovic // Sporting Gijon (On Loan from Barcelona) // 19 // Central Midfielder: The on loan Barcelona midfielder has been a good addition to Gijon’s side. Gijon have done well to uncover some young talent this season, with Halilovic’s teammate, Sanabria also making a name for himself. He’s scored 3 times, and racked up 5 assists this season, and has proven himself to be a very skillful player. His dribbling has been a particular joy to watch for his fans. Barcelona will be looking to further develop his obvious talent in the upcoming season, and that might just see him feature for his parent club. 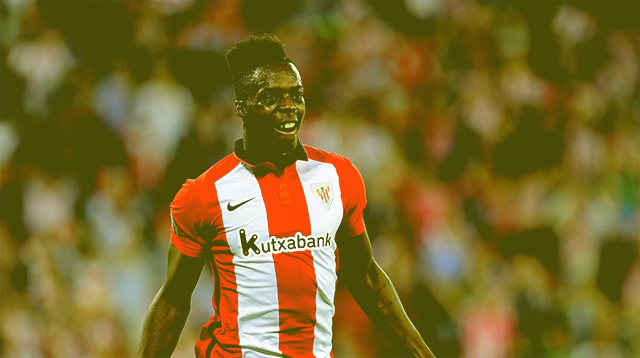 Inaki Williams // Athletic Bilbao // 21 // Left Midfielder: The young midfielder has won hearts, and a regular place in the side, this season through his hard work and consistent performances. Williams has been a solid performer for the Basque team, scoring 8 goals in the league. 8 goals is a very decent haul for a midfielder, and his killer instinct is definitely something that opposing defenders need to watch for. 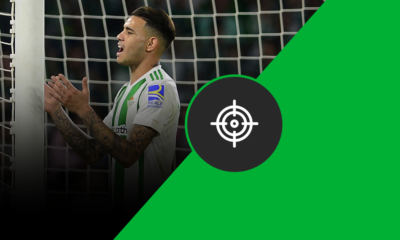 Antonio Sanabria // Sporting Gijon // 20 // Striker: Another emerging bright spark from Gijon, Sanabria has been the hitman for his team going forward. Each of his 11 strikes have been worth their weight in gold, with especially important ones coming against the likes of Atletico Madrid. 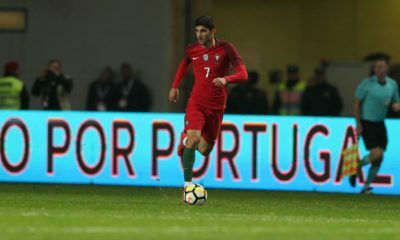 The Paraguayan has been one of the best young strikers in Europe all season, and will no doubt be coveted by some of the stronger teams in the division. Paco Alcacer // Valencia // 22 // Striker: The young striker began the season as one of the hottest prospects for a place at the Euros, but a tough season at club level, along with the strong showing from the likes of Aduriz, Morata, Costa, and Torres look like they may have delayed Alcacer’s inevitable presence in the national team. Having said that, Alcacer certainly hasn’t hurt his chances this season, with 13 goals in the league, along with 6 assists. The young striker certainly has the eye for goal, and this probably won’t be diminished by the tough year at club level.